As summer brings a delightful fresh approach to Boston, people finally can find relief in the warmth of balmy weather after going through the harshest winter in the history. The weather is gently reminding me of my last summer in Lahti-Finland where I have been calling home for four years. Finland has been a blessing to me and my family. Through free education amongst many other good things that Finland offers to immigrants, we have achieved what others have been denied in other countries. In this regard I will say that, sometimes we tend to burn all our energy in the negative things that come along our way in the endeavor to achieve success and complain a lot and we tend to forget also to focus on the bright side of life and we miss the good things that come our way. I have been living in Finland for almost five years now. 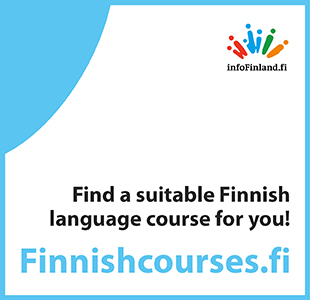 I came to Finland in 2009 to study my Master's degree in Computer Systems at Tampere University of Technology. At the moment I am working as an Embedded Software Designer in the automation industry. Finland – a breath of fresh air in more ways than one! What was it about Finland that made such an impression on me when I visited the country for the first time earlier last year? The scenery was wonderful, of course. I got a taste of what was to come as the aeroplane flew in over the Baltic Sea and then over a beautiful green landscape dotted with lakes. Although I never ventured out of Helsinki, even the capital was an oasis compared to London, where I live and work. My hotel was just a twenty minute tram ride from the Central Railway Station, and yet a few minutes' walk away was Seurasaari, a lovely little island where, as I sat on the rocks overlooking the pristine waters, with just the odd duck paddling by and not a sound to be heard, I might have been a million miles from civilisation. "So many foreigners!" was the first idea that came to my mind when I arrived in Helsinki for my internship. I had visited the city numerous times before, because I lived just across the Baltic Sea, but only for touristic purposes. As the actual life in Helsinki is of course different, some things have managed to surprise me. The daily disappointment that I know only one language. Kiitos doesn't count. This shortcoming is a real strength for the majority of Finns, but they have a typical "What's the big deal?" attitude. It is a big deal. Helsinki is safe, clean, with little graffiti, fantastic public libraries and a public transportation system second to none. Fast, reliable and clean. It just works. Every day. 07:12 train? Be there at 07:12. 7B tram? If the sign says 3 minutes, it means 3 minutes. What a concept. When I told my friends in Canada that I would be moving to Finland to start a master's degree, I received a lot of funny reactions. People were worried that Finland might be a less developed nation that the quality of education would not be as good, and there was a fair amount of concern that the entire population of Finland is about the same as Toronto's metropolitan area. My quest for quality education took me to Finland in 2007. As a student and a graduate of the University of Eastern Finland in Kuopio, my experience throughout my stay can be grouped under: power distance, individualism, food and weather. Power distance refers to how the elderly in the society cope with the youth and how those in higher authority cope with their subordinates. Unlike in Ghana where the views of the youth are normally not considered, I realised that in Finland their contributions are welcome. At the work place, those in higher authority listen to, and mingle with, their subordinates.